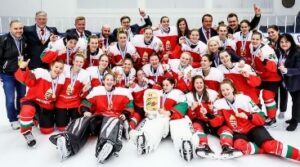 Thailand stormed to success at the International Ice Hockey Federation (IIHF) Women’s Challenge Cup of Asia after crushing Malaysia 9-2 in Abu Dhabi. 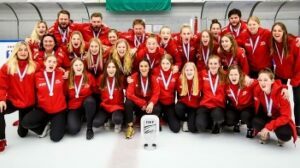 Nuchanat Ponglerkdee scored three goals in the emphatic win at Zayed Sports City Ice Rink in the United Arab Emirates venue. Also on the score sheet were Minsasha Teekhathanasaku, Pijittra Saejear, Varachanant Boonyubol, Panvipa Suksirivecharuk, Wirasinee Rattananai and Kwanchanok Chueyklang. Adilah Junid and Aisha Nuval Othman grabbed consolation goals for Malaysia. Victory saw Thailand take the overall title with 10 points in the round-robin table, an upgrade from their bronze medal at the 2018 edition. Chinese Taipei confirmed their second-place finish following a 3-0 victory against New Zealand’s under-18s. They finished on nine points, ahead of Singapore on six. New Zealand were fourth on five points, while Malaysia ended fifth having lost every match. 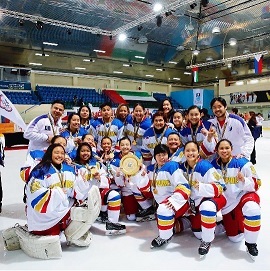 The Philippine women’s ice hockey team bagged a gold medal in the 2019 IIHF Challenge Cup of Asia division 1 on Friday, April 19 (Saturday, April 20, Manila time) in Abu Dhabi, United Arab Emirates. The Nationals, which won a bronze in the previous edition, capped their campaign with a narrow 2-1 win over host country UAE to sweep the tournament and gain promotion to the Challenge Cup of Asia tournament in 2020. Bianca Cuevas, the tournament’s top scorer, scored the opening goal for the Philippines 57 seconds into the match thanks to a two-minute penalty on UAE’s Fatima Al Ali for tripping. Even as the Philippines struggled during a penalty-laden 2nd period, Danielle Imperial managed to slot in the country’s second goal for a 2-0 cushion at the 39:53 mark of the game. UAE attempted to rally back, but Dana Alhosani wound up scoring the team’s lone goal at 56:53. The Philippines’ goaltender Rosalyn Lim only conceded one goal in the tournament as the Nationals trounced Kuwait, 10-0, and blanked India, 5-0. 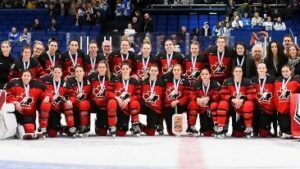 After bagging the silver medal at the 2019 International Ice Hockey Federation (IIHF) Challenge Cup of Asia held from Mar. 1 to 9 in Kuala Lumpur, Malaysia, the Philippine Hockey team diverts its focus on the upcoming SEA Games. According to team captain and tournament Most Valuable Player Steven Fuglister, they will be playing in a couple of tournaments aside from holding their regular team practices. “We will play in two amateur tournaments as preparation for the 2019 SEA Games. 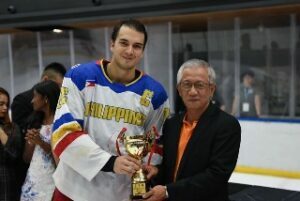 One will be in June here in Manila, the Philippine Ice Hockey Tournament and in October we will go to Bangkok to compete in the Land of Smiles Tournament,” said Fuglister in an exclusive interview with Manila Bulletin Sports. “Those will be our two major preparation events that we have for the SEA Games in November besides our regular team practices,” he added. Falling short of winning it all, Fuglister bared how he told the team to charge their performance to experience. “After the game, I think everyone was devastated in the locker room. We certainly aspired for more but I told the team that we should write this off as a learning experience, especially that we brought in a lot of players for the first time. I am confident that our players will learn from this game and come out stronger moving forward,” said Fuglister. Prior to the unfortunate ending, the team captain revealed their game plan and how the Philippines had what it takes to take down the defending champion. “We went undefeated during the preliminary round and went into the gold medal match confident and with a positive feeling especially after beating Mongolia in our first matchup (We also beat them in the 2018 CCOA in Manila). Our game plan was to score first and control the game from there on out, Fuglister said. Unfortunately, Mongolia had other plans. They were able to figure out the Filipino puzzle and costly mistakes did the PH Hockey team in. 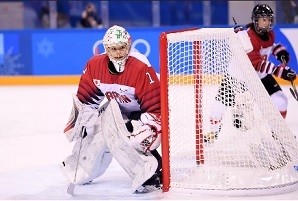 “Those plans got thrown out as Mongolia went ahead 3:0 in the first period. That might have thrown us off a bit but we believed in our strength, regrouped and came back to tie the game 3:3 later in the game. Then some individual mistakes happened and the experienced players from Mongolia took advantage of that,” Fuglister shared. As to being adjudged the MVP of the tournament, Fuglister admits he is honored by the recognition but would trade it for the gold medal anytime. “Personal awards, in general, are a nice recognition for all the work put in as an individual. But there’s a reason why I play a team sport. 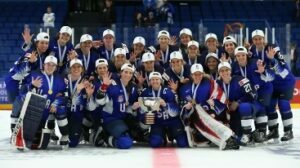 I want to succeed with my team and I would have traded the MVP Award any time of the day for the gold medal. Since the MVP gets chosen by representatives of the other teams, of course, it’s an honor being recognized for your efforts,” he said.